Comment Box collects feedback from your customers and gives you easy-to-understand reports. 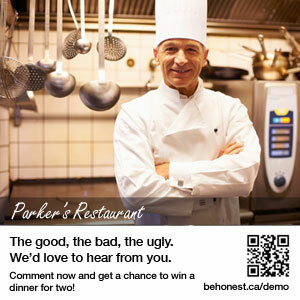 For your customers, it’s a chance to win a prize and to give their honest opinion. For you, it’s valuable business intelligence to help you maximize customer satisfaction. Comment Box provides ready-to-use Tag Displays that make it easy for customers to participate. Your customers can scan the QR code or enter the easy URL and they are immediately presented with a simple comment card. The customer can choose to provide their email address to be entered in a prize draw. To encourage your customers to participate, you can create a prize that will be awarded randomly to one customer that has submitted a comment card. An automated prize draw process selects a winner and forwards the winning information to you for delivery. Once you select the prize and the draw date, Comment Box does the rest! Your privacy and your customers privacy is very important to us. Please read our important note on privacy. Signing up and using Comment Box is free. 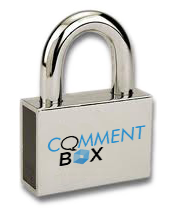 Anyone can use Comment Box… it only takes a momnent to open the door to a whole new way of gathering customer feedback! Did we say free? Yes. Comment Box currently is free. Creating an account, creating and printing comment cards, viewing reports and setting up contests are all free. This is a limited time offer – take advantage of it now to use Comment Box for free!